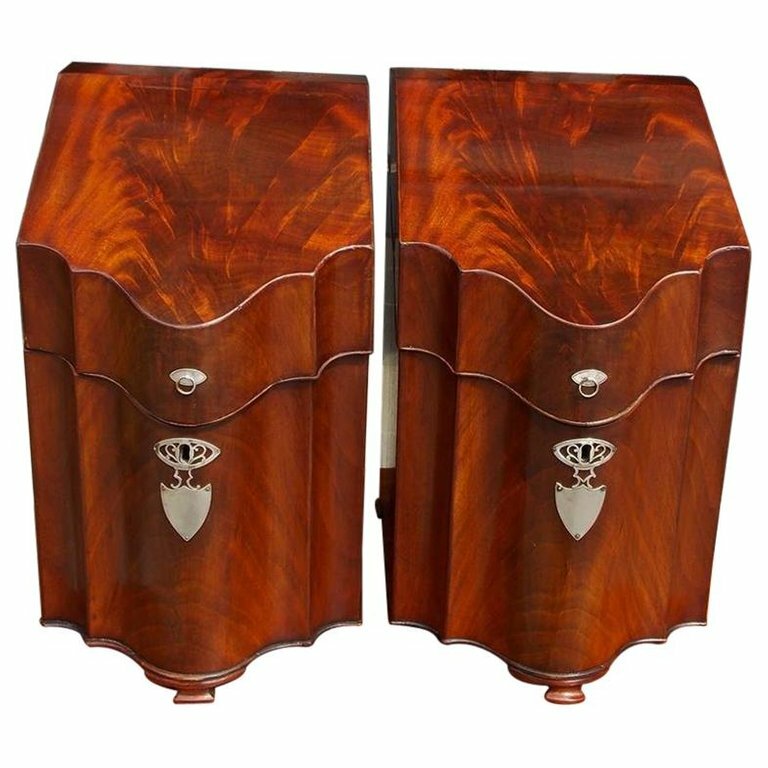 Pair of American Chippendale mahogany hinged serpentine cutlery boxes with silver escutcheons and mounts, boxwood string inlays, original compartmentalized fitted interiors , and terminating on the original ogee feet. Late 18th century. H 15.5 in. x W 9.25 in. x D 12 in.